ARTlandya is not the typical tourist attraction especially when it comes to museums. For those who did visit, it must have brought back nostalgic memories of childhood. 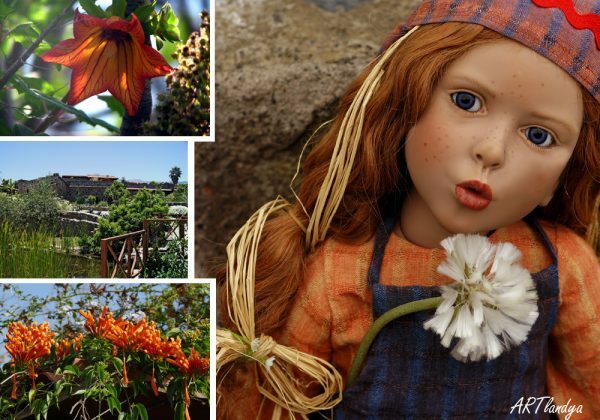 See for yourself why the private doll collection of a passionate Austrian couple is regarded as one of the best-hidden gems in the Canaries. 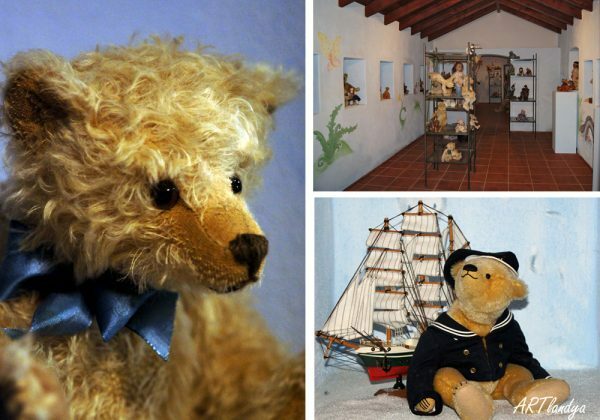 Located in the historic Icod de Los Vinos, the doll museum is the perfect addition to the town’s charm. As such, there is more to see than the famed millennium-old dragon tree this town is popular for. On the northwest coast of Tenerife, between Puerto de la Cruz and Garachico, is the picturesque town of Icod de Los Vinos. The rustic allure of this town is a refreshing change from conglomerated tourist spots. ARTlandya is in the rural district of Santa Barbara, a quick drive from the renowned Dragon Tree. Should you opt to rent a car and drive to ARTlandya, then use these GPS coordinates: 28.368076, -16.693929. Although it may seem out of the way, the drive itself is every bit enjoyable with the scenic views. Another option to visit the doll museum is to take the Autobus TITSA going to Icod de Los Vinos. From Costa Adeje, take Line 460 with the following departure times of 7:35, 9:35, 12:00, 14:10. From Puerto de la Cruz, take Line 363 with the following departure times of every half hour from 8:00 to 11:00, 11:50, 12:50, 14:15, 15:00, 16:00. Upon arrival at Icod de Los Vinos, take Line 358 to Santa Barbara with the following departure times of 7:35, 9:35, 12:00, 14:10. As an option, it might be more convenient to take a taxi to ARTlandya and the fare should be around 4,80 Euros. It all started in 1993 when the owners, Ingrid and Georg, opened the DOLLmuseum of Villach in Austria. After years of showcasing their doll collection, the couple decided to open a second museum in Tenerife. After purchasing a gorgeous finca in 2002, Ingrid and Georg started the renovation. A year later, they exhibited their bewitching collection in the town center of Icod de Los Vinos. This, they did, while renovation of the old farmhouse in Santa Barbara continued. Little did they know that it would take an eternity before they could finish the renovation. In 2012, ten years after they began, the DOLLmuseum ARTlandya finally opened its door to the public. 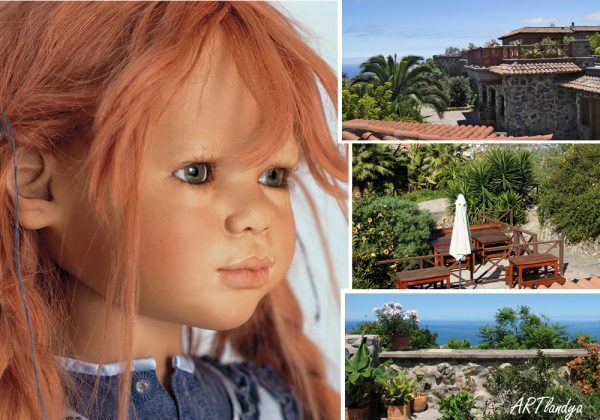 Today, guests can find the doll museum on the northwest coast of Tenerife nestled in lush tropical fauna. Icod de Los Vinos is a whimsical site in itself with its classical architecture and the notable Drago Milenario. 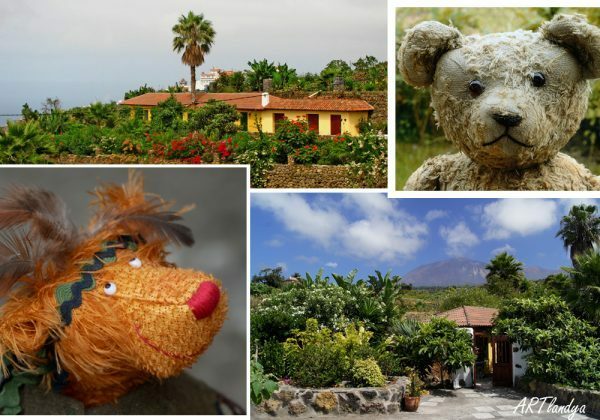 Approximately four kilometers away, sitting on a hilltop is the renovated farmhouse that now houses Tenerife’s acclaimed doll collection. These are extraordinary dolls commissioned by various artists, with each using a unique technique. As a result, these dolls with incredible details and lifelike expressions have taken a life of their own. Each of the 400 dolls on display was hand-crafted and comes from different parts of the world. Furthermore, each doll is unique and varies in materials used, depending on the artist’s preferences and whims. Regardless of materials, it is the meticulous attention to detail that sets the dolls apart from others. From realistic faces to accessories, each doll is a masterful creation and timeless work of art. ARTlandya is open every day from 10:00 am to 6:00 pm except on Mondays. They are also closed on December 24, 25 and January 1. The entrance fee costs 10,00 Euros for adults, 4,50 Euros for children aged 6-14, and free for those younger. ARTlandya is a doll museum, but that is now how it feels when visiting. No matter how fascinating the displays are, some museums lack soul. While the dolls might seem to have a life of its own, it is the owners who give soul as they take you on a tour. Forget the tourist traps when you step into another dimension as Ingrid and Georg take you on a journey filled with innocence and childlike wonder of the private doll collection. Feel the overzealous passion of the owners as they walk you through each doll and tell you the story behind its creation – from its origin to the artist’s inspiration. And it’s not only dolls because the collection includes figurines and teddy bears. All these stunning works of art are set against the beautiful backdrop of the old farmhouse and outdoor garden. Before you realize it, two hours would have gone by even if it felt like the tour started not too long ago. The location of ARTlandya in itself is enough reason to pay a visit. Set against a tropical paradise, the bucolic architecture of the finca stands out. Stone walls, tiled roofing and wooden additions here and there add a strong character to the place. After the tour, guests could relax on the terrace and enjoy the view of the majestic Tiede Volcano. Being passionate, the hosts would show guests the fine art of doll making. Ingrid and Georg are gracious human beings and their warmth touches the hearts of visitors. In fact, they make guests feel at home as they offer coffee, lemonade or produce samples from their garden. On a good day, they might even take you on a tour and allow families to pick fruits to conclude their experience. Out of the way from most tourist spots, the town of Icod de Los Vinos offers a respite from all the bustling vacation spots. Besides the millennium-old dragon tree, another destination gaining traction fast among tourists is ARTlandya. And it’s easy to see why the doll museum is considered a must-see. The unique museum easily transports anyone into the whimsical world of dolls and teddies straight out of your childhood. The old farmhouse that houses the museum presents a gorgeous setting for the doll collection, which spans as far out as the garden. Dolls with uncanny realistic expressions are only the tip of ARTlandya’s colorful story. Literally from all around the world and created by different artists, the dolls are a showcase of master craftsmanship. And then there are the owners who tell spellbinding tales behind the creations. ARTlandya is perfect for families looking for a unique educational experience. It is also a revitalizing getaway for travelers weary of the many tourist traps in Tenerife. The entrance fee, arguably, could not possibly cover the amazing experience of visiting. At the end of the experience, there is no doubt that the farmhouse, garden, doll collection and the gracious hosts are etched in the minds and hearts of guests that last a lifetime. Note: Permission was granted to use the images on this page. All rights reserved by the owners of the photographs.